The team behind the highly successful South Coast Golf Tour are proud to announce the launch of our new venture South Coast Business Golf. 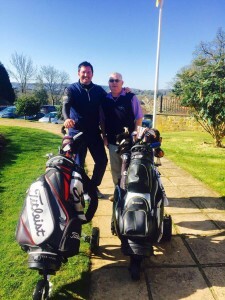 South Coast Business Golf will specialise in staging golf days for businesses looking to build and cement relationships with prospects, clients, suppliers and staff. Although South Coast Business Golf replaces the South Coast Golf Tour, it takes a key factor of the tour to new heights – using the golf course as a way of building networks and developing business relationships. So, while we say farewell to the South Coast Golf Tour, South Coast Business Golf is all set for a series of exciting Company Golf Days on some of the best courses the UK has to offer. 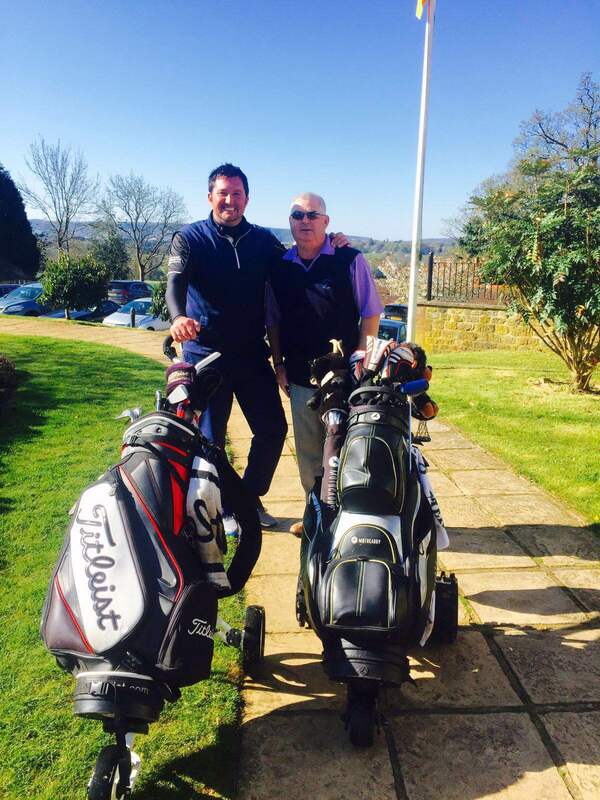 Contact us now to find out how a South Coast Business Golf event could work for your business. 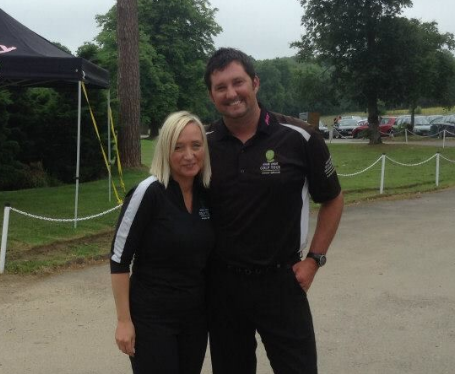 Contact David Fluke on at david@sc-golf.co.uk or on 07881 810 847. We joke about it every year, but once again, despite a grim weather forecast, the nicknamed ‘Sunshine Tour’ struck again on Wednesday 27th April, for the opening event of the South Coast Golf Tour at Cowdray Park Golf club – 38 events since the Tour started and only a couple of hours rain in total! This year the first event was hosted by Orion Lightning Protection and MR Electrical Services, and they certainly brought a competitive team of players along, with their guests winning both the team and individual prizes, giving our Tour players a run for their money. Yes it was nearly a clean sweep for the MR Electrical Services guys, with the individual prize going to one of their guests Robin Keeler and the team prize being four more, Marc Renouf, Tim Guest, Rob Bradshaw and Damian Smead. Great stuff MR Electrical Services – but you weren’t without competition. Derek Steel from Jacobs Steel Estate Agents gave them a good fight in the individual competition coming an extremely close second place, and Jools Chaffer from dizzy: support for diabetes came top in the charity putting. So as it stands after the first event, we have 5 different companies spanning the top five places of the 2016 order of merit. M R Electrical Services, Jacobs Steel Estate Agents. Frenkel Topping, Ashead Stores, Marlin Building Services. This also plays testament to the wide variety of business that we have on the Tour this year to improve the networking and relationship building experience available to our players. See the full order of merit here. In just 15 days we will be heading to Ifield Golf Club for round two of the South Coast Golf Tour, and the Carpenter Box Company Golf Day. This is a well renowned event every year on the Tour, and one you definitely don’t want to miss. 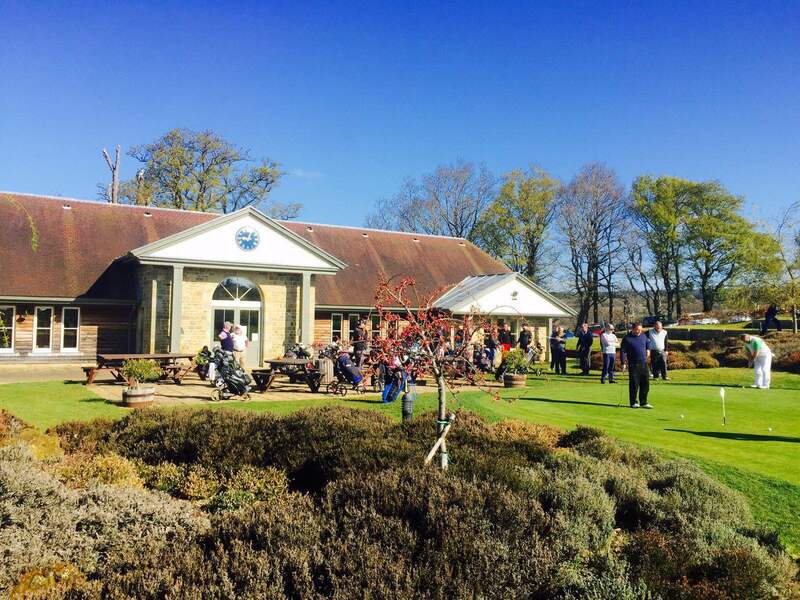 Book your ticket for Friday 13th May at Ifield Golf Club Today, and contact David on 07881 810 847 or via david@sc-golf.co.uk to discuss more opportunities for your business on the 2016 Tour. It may have been blowing a gale on the most unforgiving course on the South Coast on Friday 18th August, but no amount of wind or rain was going to send our players into a spin, especially not for the dizzy: support for diabetes golf day. 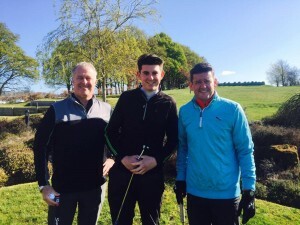 In support of this Sussex-based charity, which provides support and financial assistance for diabetics, Tour members and dizzy guests alike turned out in force for a fabulous day of Golf. The charity’s primary aim is to promote awareness of diabetes across Sussex and there were various opportunities to do this throughout the day. One way to do this was through a menu created to be suitable for people with diabetes to eat. The delicious chicken lasagne, which was served as the main course reminded the players of the challenges diabetic people have to go through to ensure they are eating the correct food. 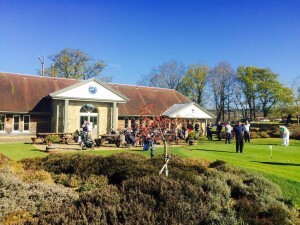 The well-loved charity putting competition, which sends proceeds to dizzy throughout the Tour year, was in full swing at this event as well a raffle full of fantastic prizes, including golf lessons, golf equipment, wine and other goodies, to raise money for this worthy cause. Plenty of controversy surrounded the Nearest The Pin competition at Littlehampton Golf Club. Adam Westwood, from Titan Scaffolding, claimed to have been nearest on the 3rd but insisted it was too wet to write his result onto the scoreboard. We thought it all sounded a bit fishy but his claim was actually validated by his team members – so we’ll trust you this time Adam. This time it was Graham Lind from CNC ltd who conquered the difficult weather conditions and achieved victory at Littlehampton. Meanwhile Matt Clifton-Bowley from LWS Marketing battled his way to be best of the rest. This takes him to the top of the order of merit leader board with his eyes set on the prize this year. Discover the full list of winners here and keep up-to-date with how the order of merit is looking. The next stop on the South Coast Golf Tour is the Unibind and Hacker Young joint company golf day at Piltdown Golf Club. Don’t miss the chance to play at this East Sussex gem – secure your place now. Well there was certainly no chance of lightning at our scorching event at Wildwood Golf Club on Friday 10th July, especially with the Orion Lighting Protection experts around. Things were certainly heating up at their mini golf day – and we’re not just talking about the weather. Our own tour members couldn’t wait for the chance to build rapport with Orion’s most valued clients and to show the newbies how we roll on the South Coast Golf Tour. With some time to spare before the two-tier tee-off everyone headed to the putting green to take part in our charity competition in aid of dizzy: support for diabetes. With several players scoring 16, on the countback it was Orion Lightning Protection’s very own Jason Harfield who was best at the test, winning a bottle pink Moet Champagne – but come on Jason, you could have given your guests a chance. In a test of precision and skill there were two ‘Nearest the pin’ competitions at Wildwood and two winners. 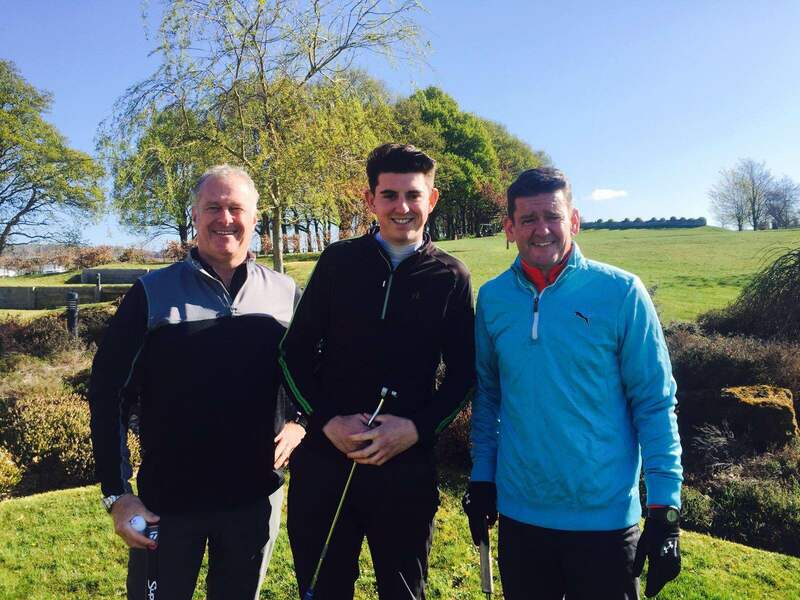 Congratulations to South Coast Golf Tour members Paul Severn from Watson Associates, who was nearest at the 6th on the lakes course, and to Mark Perring from Coastal Copiers, who triumphed at the 2nd on the Parklands Course. After nine holes on both the Parklands and Lakes courses, it was time to head in, where there was a cold beverage waiting for everyone at the bar courtesy of Orion Lightning – cheers Justin and Jason. When it came down to it, Assistant Tour Director, Matt Clifton-Bowley from LWS Marketing was on top with a score of 37 points. A former champion of the Tour, Matt has been struggling to find his winning form lately, but the course at Wildwood certainly brought back his competitive streak. But let’s not forget the Best Guest Award, a real favourite on the Tour, and this time it was won by Orion Lightning Protection’s valued guest Richard Townsend. It’s so important for us to meet new people on the Tour, and after you’ve played once you’re automatically part of the order of merit – so you can keep coming back! The order of merit is extremely close this year and after the results at Wildwood it really is all still to play for – click here to see the full order of merit results. Don’t miss our next event, the dizzy: support for diabetes golf day at Littlehampton Golf Club – book your ticket now, or call Claire on 07801 295681 for more information about the South Coast Golf Tour.  Their philosophy is ‘It’s all about the service…’ and that is why if you had phoned 5 Rings Telecom on Friday 19th June your call would have still been answered within five rings, despite some key members of the team being out on the fairways at Gatton Manor Golf Course in Surrey. Yes, Round Three of the 2015 South Coast Golf Tour played host to the 5 Rings Telecom Company Golf Day and with it came some valuable business building opportunities, some sporting competition and some interesting golfing attire – we really must sort out that best dressed award! With Gatton Manor home to the longest hole in South East England at 645 yards, it was the perfect opportunity to set up a longest drive competition – and boy was it long. It was all in the swing as players lined up to whack the ball as hard and as far as they could down the fairway, but in the end it was our very own Tour Director, Dave Fluke, who was able to go the distance. Better luck next time folks. The aim of the game here is to take turns within each team to use the magic ball so that someone is playing it on every hole and, crucially, to make sure you still have it at the end of the round. The dedication to the cause was remarkable, with teams searching high and low, desperate to bring their magic ball home. Stephen Hollamby from Bennett Griffin even waded barefoot into what can only be described as a swamp to retrieve his team’s ball, only to discover afterwards that it wasn’t theirs at all. At the end of the day only five out of 13 magic balls survived the course and the one with the winning score belonged to Ian Ward from Symonds and Reading, Sarah Jewell from ALC Health, Henry Osler from ODT Solicitors, and Tony Harvey from Dynamic Cloud Services. How Does The 2016 Competition Stand After Round 2?